In theaters on April 7, 2017, is Smurfs: The Lost Village from Sony Pictures, this is the full animated, all new take on the Smurfs, mysterious map sets Smurfette and her friends Brainy, Clumsy, and Hefty on an exciting race through The Forbidden Forest filled with magical creatures to find a mysterious loss Village before the evil wizard Gargamel does. 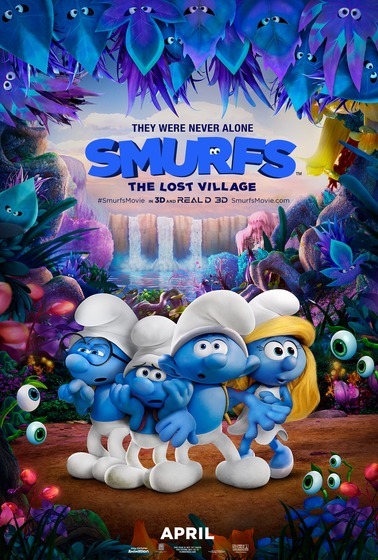 Embarking on a roller coaster journey full of action in danger, the Smurfs are on a course that leads to the discovery of the biggest secret in Smurfs history! I am so looking forward to making a recipe I found on the website for Smurfberry pie, it looks so delicious and very easy to make. I also took the Smurf quiz my results was Brainy Smurf as he supports the following goals quality education, clean water & sanitation, industry, innovation and infrastructure, sustainable cities and communities. 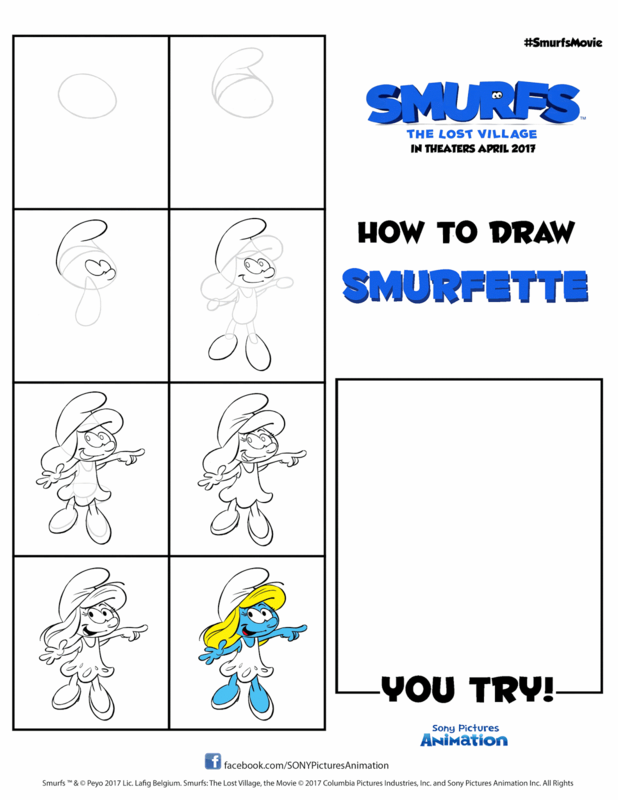 Are you take that quiz on the website and let me know which Smurf you got. 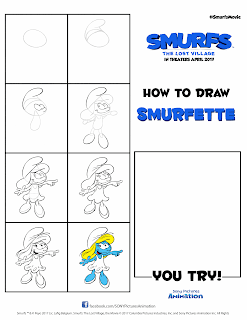 I have also added how to draw and coloring pages to this post which you can take for my website or go to http://www.smurfsmovie.com and download them and print them. I remember the Smurfs from when I was a kid!! Im so glad they've been redone and coming out again so my son can enjoy them too!! They look so realistic!! I love the Smurfs as well watched them every Saturday morning as a kid. Yes, it is great a new generation can enjoy them. 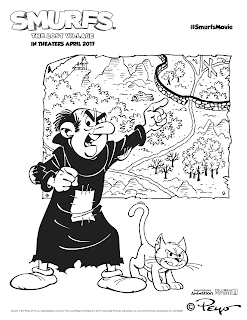 I want to see his movie because I loved watching the Smurfs as a kid and my grandson would enjoy this movie. I want to go because it looks like a cute movie. 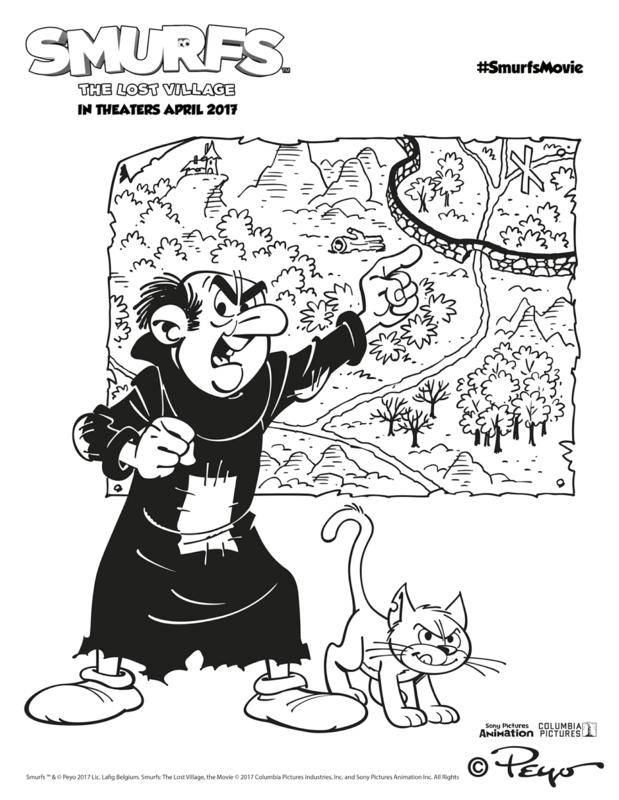 I want to win to enjoy this movie with my grandson.